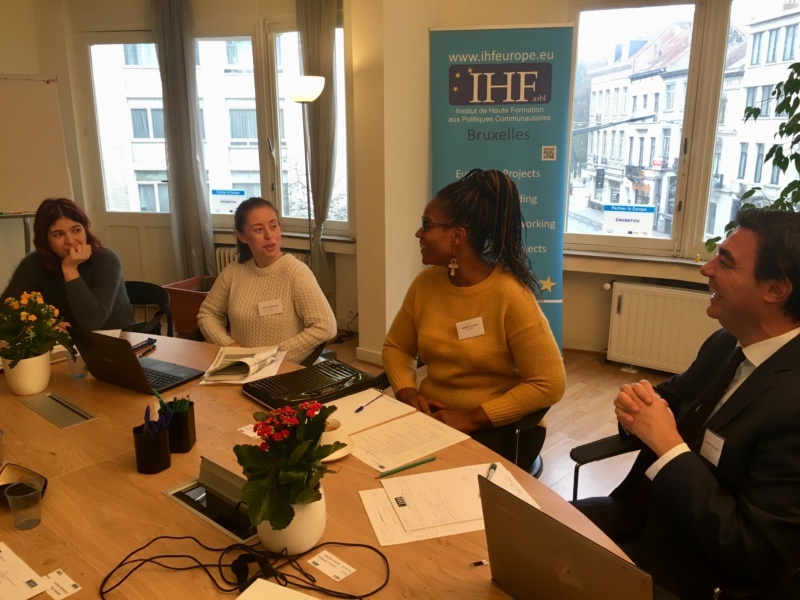 7 partners from 6 European countries were hosted by IHF asbl in Brussels on November 27, 2018 during the Kick-Off meeting of the EIDE project “Emotional Intelligence and Digital Entrepreneurship in VET”, KA2 Strategic Partnerships for vocational education and training. The main objective of the project is to improve the opportunities for professional success of vocational students with different backgrounds developing not only their entrepreneurial skills (or knowledge), but also their emotional, social and digital skills. IHF brings in EIDE its expertise and experience as a key social player in international and European projects. In particular, IHF ensures the “European Dimension” of the project as it carries out all the technical tasks from a “European Perspective”, i.e. carrying out analysis of relevant EU policies, trends and initiatives; extrapolating EU relevant case studies, lessons learned and best-practices.